Fiat 124 Spider revealed - show pictures and details | What Car? Fiat has revived the 124 Spider name for its new two-seat sports car, which is based on the Mazda MX-5 and will go on sale in the UK late next year. The Fiat 124 Spider is a new rear-wheel drive, two-door, two-seat sports car which is based on the Mazda MX-5. The car is the result of a joint venture between Fiat and Mazda. The 124 Spider is slightly longer than the MX-5 but keeps the same wheelbase. 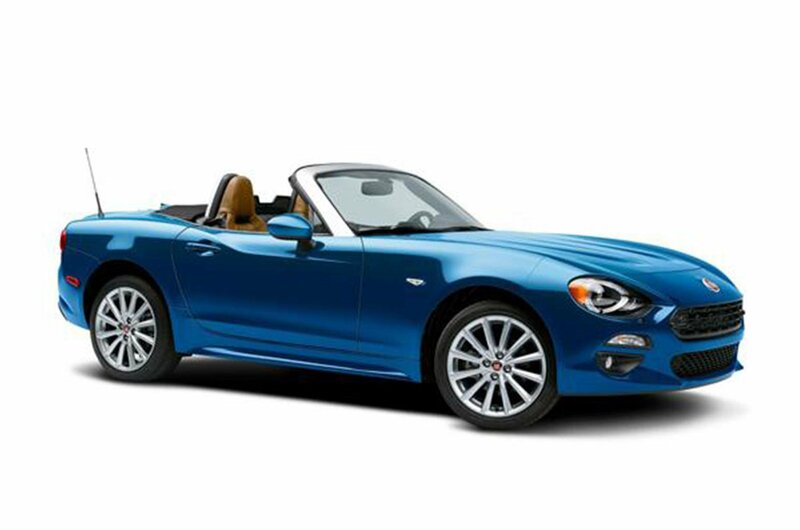 Its styling is designed to evoke memories of the original 124 Spider, while keeping a modern appearance. All of the car's main body panels have been changed compared to those used on the MX-5. The only engine available at launch in the UK will be a 1.4-litre MultiAir II petrol, with 138bhp and 177lb ft, paired with a six-speed manual transmission. Sources suggest that the 124 Spider will be capable of matching the Mazda MX-5's 0-62mph time of 7.3sec. In the US, the 124 Spider will come with a 158bhp version of the same 1.4-litre engine, but there's no indication of whether that engine will be offered in Europe. Further down the line, we also expect to see a sportier Abarth-branded version of the 124 offered in Europe. 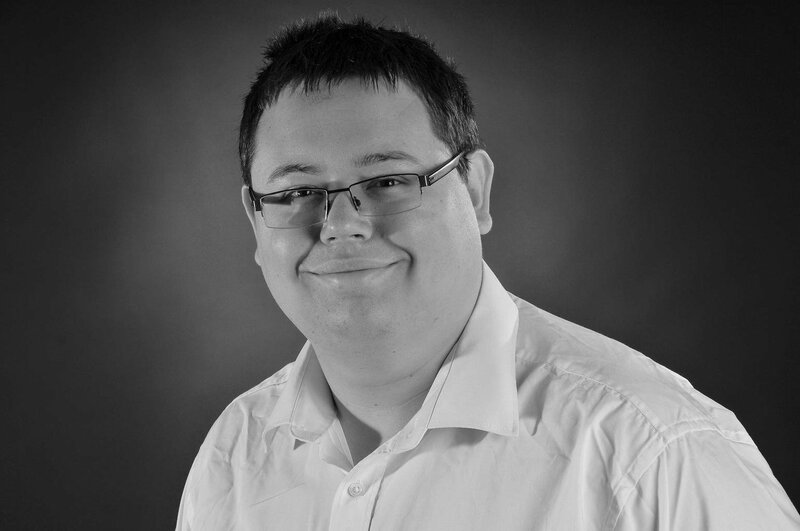 That car, which will also get unique syling, should come with a more powerful version of the MultiAir II engine with around 170bhp. The cabin is almost identical to that of the Mazda MX-5, and includes that car's 7.0-inch free-standing infotainment screen. It's likely that material and trim options from the MX-5 will be echoed on the 124 Spider, although final specifications have yet to be released. 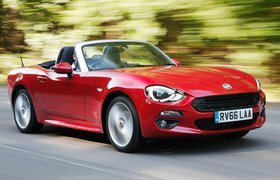 How much will the Fiat 124 Spider cost? There's no official word on pricing, but we'd expect it to be pitched slightly above the MX-5, with entry-level options costing around £19,500. Despite being based on the MX-5, the Mazda is also the Fiat 124 Spider's biggest rival; we've awarded the Mazda MX-5 five stars out of five.